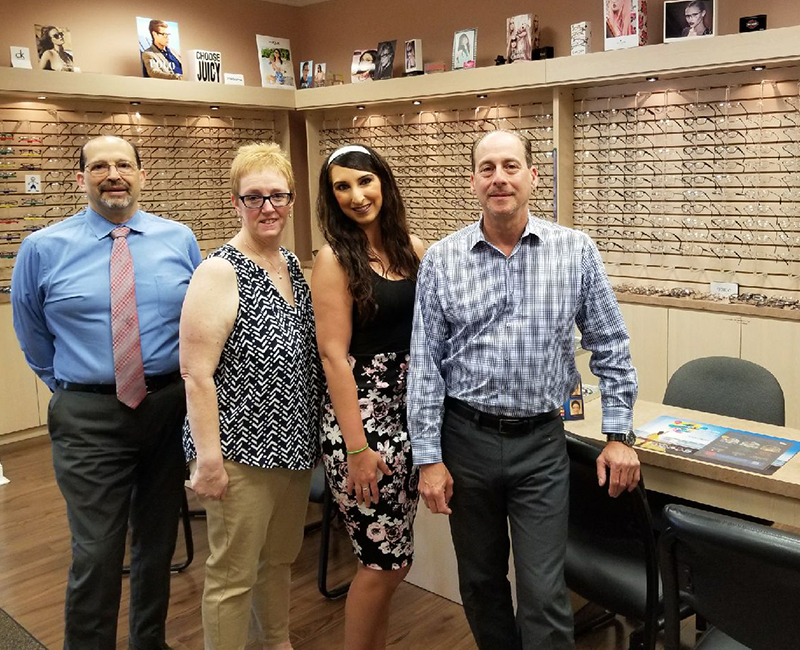 North Fork Optical Center is far more than a place to purchase eyeglasses; we are a part of your personal health care team. Our sophisticated equipment and decades of experience help us to diagnose and treat a wide variety of eye health issues, and follow every patient's progress over time. Our optometrist, Doctor David Eilbert performs complete eye exams. In addition to finding your optimum eyeglass and contact lens prescriptions, he can detect and treat most eye infections and many diseases. In providing complete eye care to his patients, it is it sometimes essential that ophthalmologists and other members of the medical community be involved. Dr. Eilbert has a close working relationship with many professional colleagues; he co-manages patients who require surgery or who opt for laser vision correction. Optician and Co-Owner Brian Gerard fabricates the eyeglasses glasses and verifies that each pair is accurately filled according to the doctor’s prescription, In addition, he instructs new contact lens patients on insertion, removal and care of their contacts. His other hat is that of business manager for the office. Our office manager Gina Olmsted is in charge of frame purchasing and the front desk operation. She also is highly skilled at assisting the patients in choosing the best frame for their needs. Technical assistant Christina is our office software “go-to” person. She also sets up exam appointments and is trained to administer the special testing in the office. We participate in many insurance plans, including Davis Vision, VSP, Eyemed, Medicare and Medicaid.